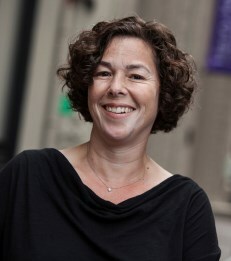 Beth Bechky joined New York University Stern School of Business in July 2013 as a Professor of Management and Organizations with a courtesy appointment in NYU's Department of Sociology. She teaches courses in managing high performance teams and negotiations. Professor Bechky is an ethnographer who studies interactions and dynamics at organizational and occupational boundaries. She is interested in how workers collaborate to solve problems, coordinate their activities, respond to surprises and innovate. She has published her work in journals such as Administrative Science Quarterly, Academy of Management Journal, Organization Science and American Journal of Sociology. Professor Bechky is the co-editor of Qualitative Organizational Research and was formerly a senior editor at Organization Science. She was on the council of the Organization, Occupations and Work division of the American Sociological Association from 2009-2012. Prior to joining NYU Stern, Professor Bechky held professorial positions at The Wharton School at the University of Pennsylvania and the Graduate School of Management at the University of California Davis. Professor Bechky received a B.S. (with Honors) from the School of Industrial and Labor Relations at Cornell University, and an M.A. in Sociology and a Ph.D. in Industrial Engineering and Engineering Management from Stanford University.